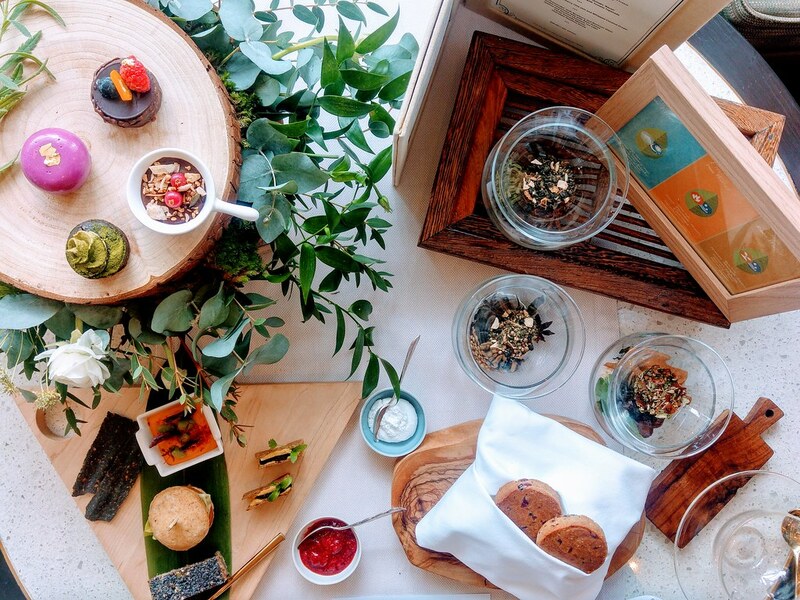 If you are a wholly believer of a plant-based diet or about to step into the realm of raw food, veganism etc, but finds it really hard to give up your sweets, Capella Tea Experience – Wellness Tea Time may be able to ease that yearning, every Friday. 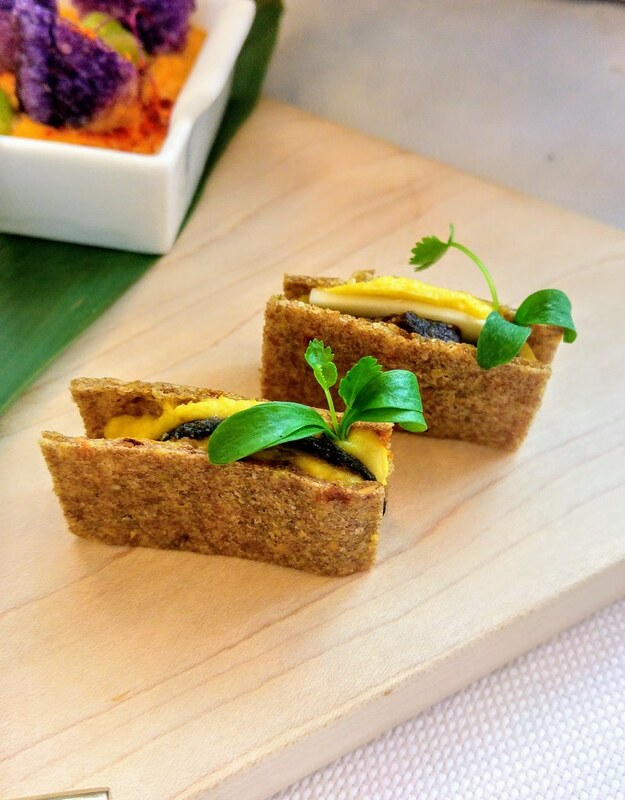 At Chef’s Table, this special menu is put together with great effort by Sandra Lim of Live Fruitfully, a certified Raw Food Chef from The Matthew Kenney Culinary Institute and Chef David Senia, the Culinary Director of Capella Singapore. 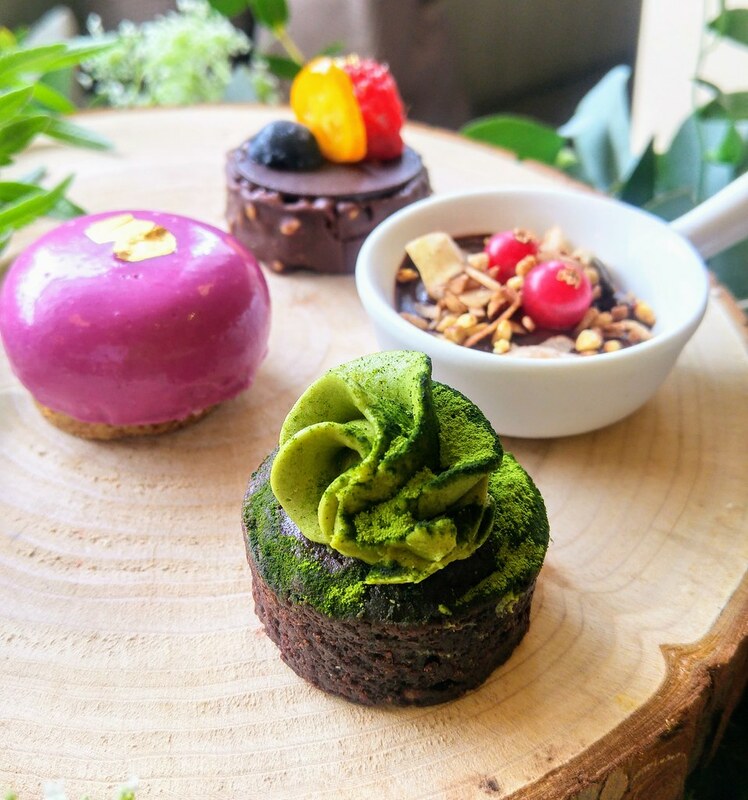 Presented in the form of a five-course menu, the Wellness Tea Time offers not just gluten-free and dairy-free savouries but also sweet creations! Caffaine takes a back seat. 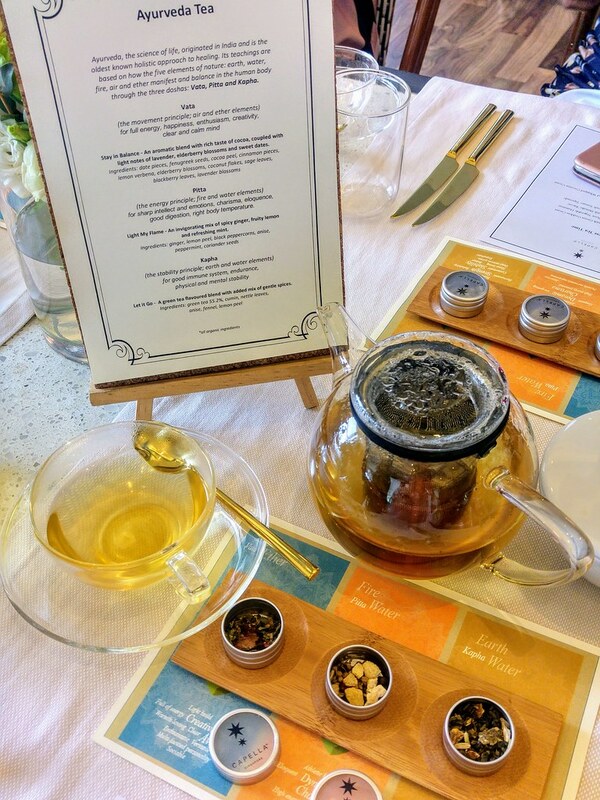 Get in tune with yourself and choose from Ronnefeldt Ayurvedic teas instead, according to your mood – a cocoa-rich taste with light floral notes Stay in Balance; an invigorating herbal Light My Flame or the smooth green tea blend Let It Go. Hummus is quite common in a vegan diet but I really love this Crispy Charcoal Tuile with Root Vegetables Hummus. Its exuberant colours, textures and most of all, the taste. The hummus is made with sweet potato, yet it has a savoury depth and a tangy note. 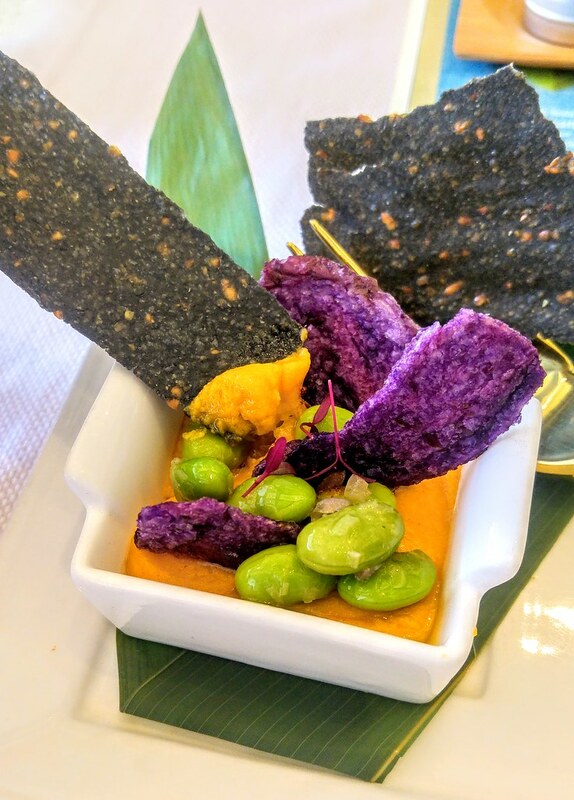 It is designed to eat with your hands, hence spoon the hummus with the gluten-free Crispy Charcoal Tuile and sweet potato chips. 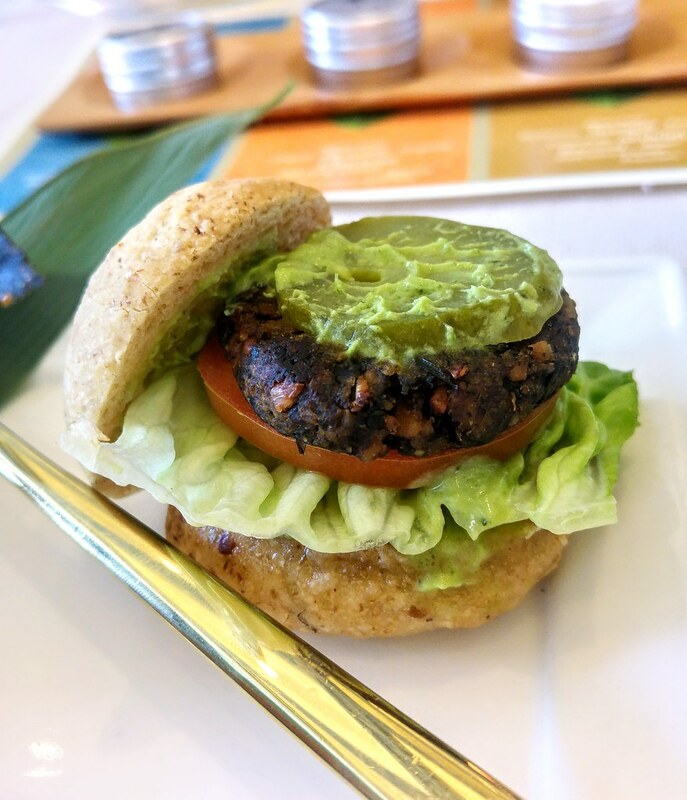 Tempeh Portobello Slider with Green Goddess Cream is a herbivore's slider that delivers a level of satisfaction no less than a regular slider. Not so much of the Goddess cream but that layer of sweet caramelised onions at the bottom and the pickled cucumber on top, that have successful trick my mind. The preparation works for Cauliflower Crust Pizza with Shiitake ‘Bacon’ is painstaking but the final product is worth it. The curst is made with cauliflower and teff, a grain grown in Ethiopia and said to have huge health benefits. The sweet corn mash gives the pizza a sweet flavour and body, and if you think that the quintessential cheese is missing, just open up the pizza and you will find a slice of almond cheese in it. 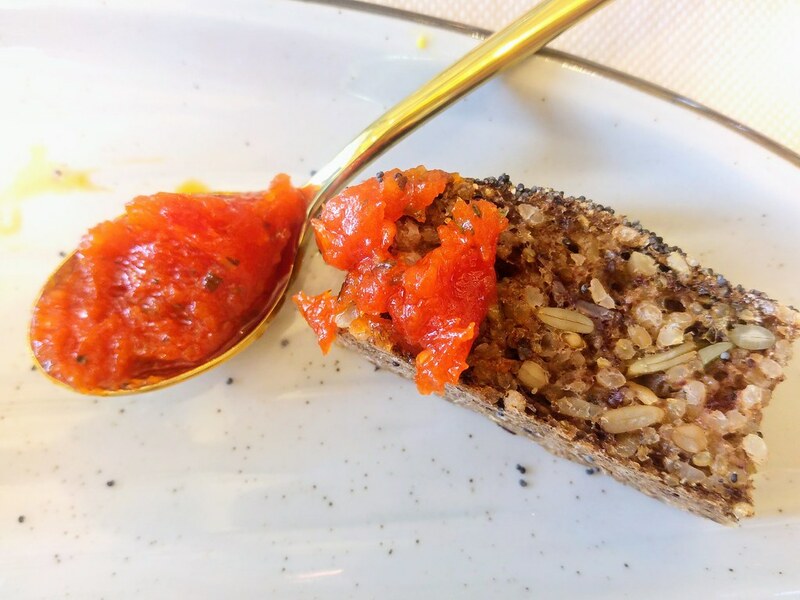 The Sprouted Whole Grain Bread with Tomato Tapenade is made with 5 different grains such as brown rice, quinoa etc. It may comes across a bit dry but the tangy sweet tomato spread makes up for it. The bread is super crusty on the outside, with a slight chewiness to the body. 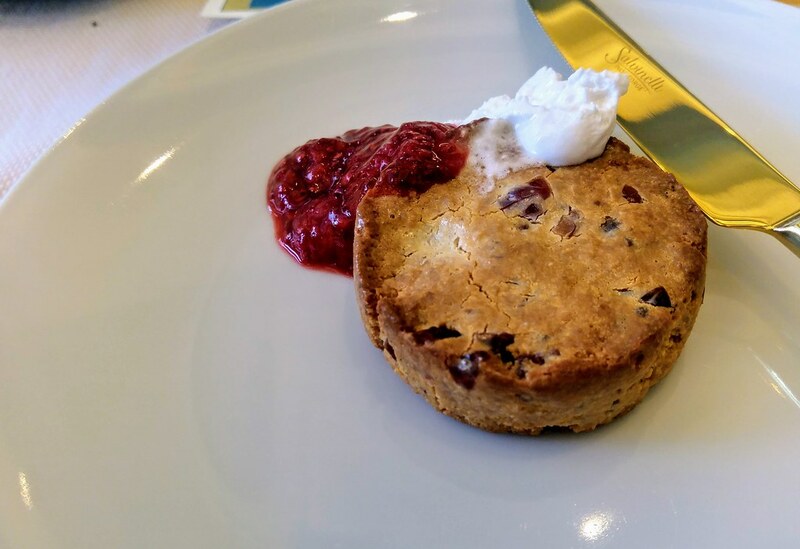 The Special House Scones are served with homemade raspberry jam and coconut cream. To give the jam a jammy texture, chia seeds are used as the 'gelatin'. I like the jam which is pulpy and not too sweet, the coconut cream also imparts a different flavour to the scones. However, the sweetness of the scones doesn't sit well with me at all, although technically, there isn't any 'real sugar' in it. Finally the sweets. If the savouries are tough to make, the sweets are multiple times of that. Without cream or dairy, it might take 10 more ingredients just to achieve similar consistency and texture. For example, Chocolate Hazelnut Dome went through multiple trials for the layer of chocolate coating, which is made using aquafaba (chickpea water). The Quinoa and Zucchini Chocolate Tea Cake has a brownie-like texture and the Cacao Avocado Mousse delivers an expected creamy consistency. However, i would prefer more varieties as they start to get cloying after a while. Cultivated ‘Cheesecake’ with Blueberry and Beetroot Glaze offers a brighter taste. 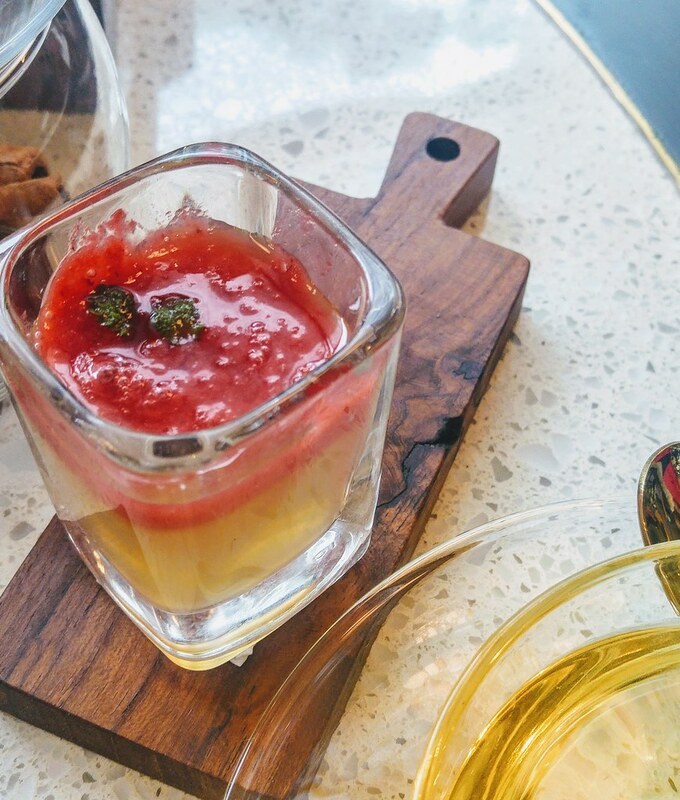 Ending the lazy afternoon is a refreshing Tomato Consomme Jelly with Basil Granita and I really like it, simply because it tastes very natural, compared to the plate of sweet creations prior to it. Knowing that you ain't consuming anything artificial is certainly assuring. It is intriguing to see how different ingredients are being orchestrated into our well-loved items using methods much less known. 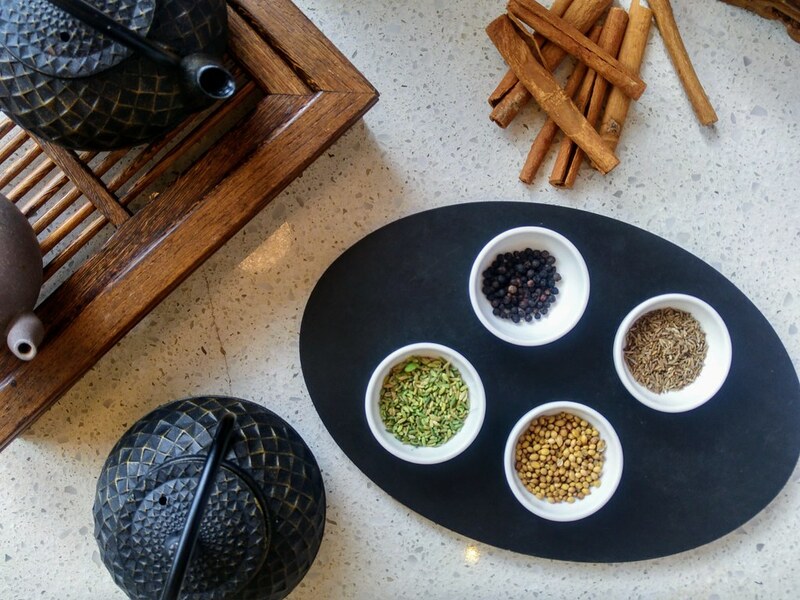 Wellness Tea Time is available on Friday from 3pm to 5pm, priced at $59 per person.